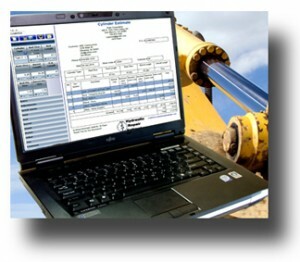 Fluid Power – Quote With Confidence – Web Based, “Hydraulic Repair Estimator”TM for Cylinders! San Marcos, CA — The new “Hydraulic Repair Estimator”TM for Cylinders program from Rupe Corporation, gives consistent, “Best Price” estimates for hydraulic cylinder repairs from a basic resealing to a complete rebuilding. This comprehensive web based program will work on any desktop, laptop, netbook, tablet with internet access. Web based, there is no software to install, however labor rates, material costs, and cost of supporting services (i.e. Chrome plating) can be personalized for each subscribing company. 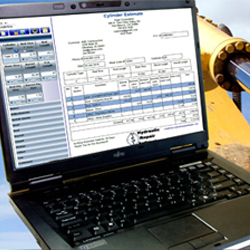 The “Hydraulic Repair Estimator”TM for Cylinders program lets a sales person in the field quote with confidence and provide potential customers a consistent, accurate quote on-the-spot in minutes and immediately e-mail the estimate with detailed pricing right from their laptop. To set up or individualize the program, “shop rates” (labor, material, and overhead) of the subscriber’s company and “shop rates” of vendors, such as chrome platers, are entered and stored. Already in the data base are all the tasks and the time and materials to complete each task, related to the repair of a hydraulic cylinder. To fine tune the program based on experience, an efficiency adjustment can be made to refine the quote process even further for a particular subscriber’s company. Using “Hydraulic Repair Estimator”TM for Cylinders program is easy. Using a preprinted cylinder evaluation sheet a sales person, or shop personnel takes basic measurements of the cylinder, notes the condition, checks off the appropriate repairs needed, logs on and enters the information into the program, and in seconds has a accurate, detailed quote. The work sheet can be attached to the cylinder and is the identifier and guide for shop personnel. 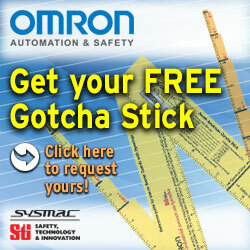 Who should be using “Hydraulic Repair Estimator”TM for Cylinders program? Hydraulic cylinder repair facilities, with this program can offer more accurate quotes and improved service. Companies that lease or rent equipment with hydraulic cylinders, and companies with large numbers of trucks and off road equipment equipped with hydraulic cylinders can use this program to control costs, make timely decisions such as repair or replace, and analyze quotes from repair facilities. The low cost of the program is based on the number of new quotes created each month by a subscriber company. A Return-On-Investment calculator highlights the real value of using this program compared to working up a quote from scratch using a pencil and paper. Features also include: A “ToolBox” including a calculator, metric converter, and a data base of Cat® cylinders by part number, recommended vendors, and rebuild instructions. The benefits of using “Hydraulic Repair Estimator”TM for Cylinders program are: Easy to use, customers will view estimates with confidence, reduce time in getting estimates to potential customers, reduces overhead by reducing time needed to produce quotes, ability to offers quotes On-the-Spot 24/7/365, no over or under quoting, and have greater insight into costs and efficiency. The Rupe Corporation has been in the hydraulic repair industry since 1976 developing one of the largest repair facilities in the western United States. In 2005 Rupe Corporation took on the task of developing and researching innovative projects that would benefit the hydraulic industry and their customers. One of those projects was a program to bring a pricing standard to the repair of hydraulic cylinders and other components. Drawing on many years of experience rebuilding hydraulic cylinders Rupe Corporation was able to develop a program that is simple to use, quick, accurate, consistent, and sets an honest standard for repair facilities and consumers.